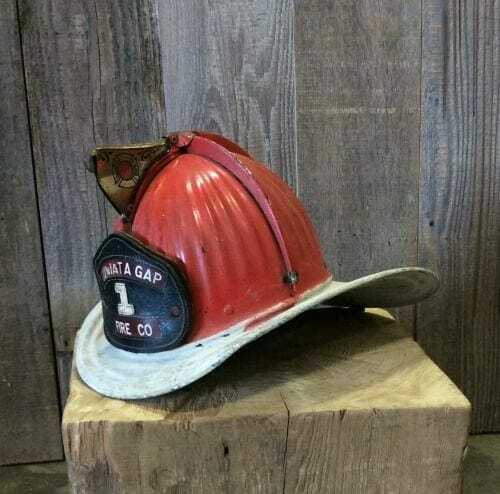 Vintage firemen’s helmet. From Juniata Gap, Pennsylvania station. Constructed of stamped steel and a leather fire company shield.